WIFC racked up a first clean sheet since August and a convincing 5-0 win against AFC Wimbledon ‘B’ at a chilly Met Police earlier today, to secure a semi-final place in the IFA London Cup. In a game that also counted for the league, Stu Nicholls opened the scoring with a first half strike, A brace from skipper Chris Dundon on his 100th appearance for the club was sandwiched by an own goal, and Dave Soloway completed the scoring. 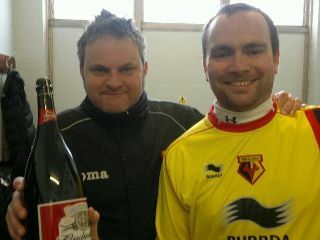 Man of the Match Aidy Spender secured a unique prize – the unwanted Jeroboam of Budweiser from Friday night’s man of the match in the Watford – Spurs game, Rafael vander Vaart ! 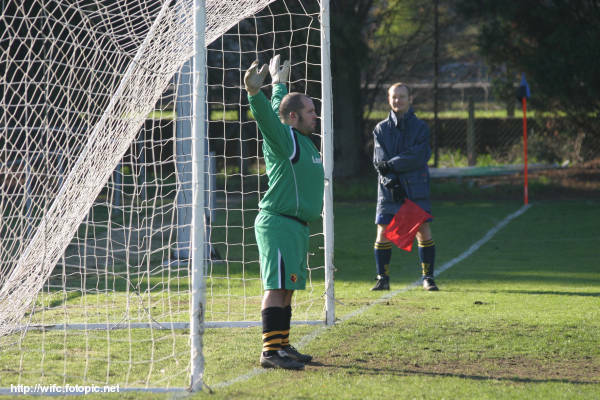 Full report can be found here..
WIFC traveled down to South-West London on a cold November morning in 2006, for an IFA Cup first round match with AFC Wimbledon, little knowing that one of the most gripping ties in their history was about to unfold. With the sun sitting low on the horizon, causing many a problem for both sides, Richard Murphy put WIFC 1-0 up when good work from Laurence Wells resulted in him stabbing the ball towards goal, the keeper saving but pushing out the ball to Murphy who tucked the ball home. However, as proved the case with every WIFC goal, Wimbledon pulled level within minutes with a finish from the top drawer, right into Darren Sear‘s top left corner, giving him no chance. It was another Lozza/Murph combination again that put WIFC in front again, this time Murphy had far more to do at the far post but still drilled his shot home. But once again, Wimbledon ensured they were not going to lie down easily and pulled level with a long ball which was lifted over the onrushing Sear to finish into an open net. In the second half WIFC moved ahead once again, this time some neat work from Scott Mathers resulted in a low driven cross, neatly dummied by Martin Pollard for a simple finish at the far post from Rob Sterry. Amazingly Wimbledon draw level again within minutes, with Sear saving a clearly offside volley but not being able to prevent the ball looping up and over the line. The pint-sized striker again pushed us ahead with a carbon copy of Wimbledon’s second goal, before we hit the self-destruct for the fourth time and allowed a simple finish to a cross from our left flank. We had our chances to finish the game off before 90 minutes, but failed to find a killer goal, upon which we entered the dreaded penalty shoot out. 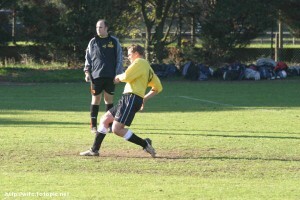 Each side stepped up and provided a finish at each opportunity, and slowly the job of taker moved through the squad. Once the first five takers for both teams had scored, we went into sudden death. 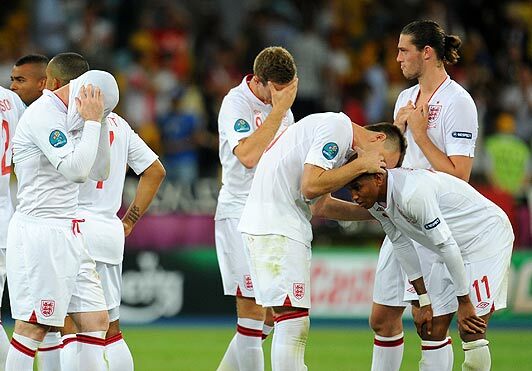 Those players that hadn’t fancied an earlier kick were suddenly thrust into the limelight. Having suffered a double penalty humiliation in the past, Martin Pollard looked on nervously. When it came to the tenth kick, Polly suffered the long walk up, placed the ball down and then 4 years worth of weight was lifted off his shoulders as the ball nestled into the back of the net. It was now up to Daz Sear. Dressed all in green and having been christened as the flying pea by onlookers, a save from Daz woul help him avoid having to take the 11th kick, and he was up against the player who had stuck it in the top corner the first half. 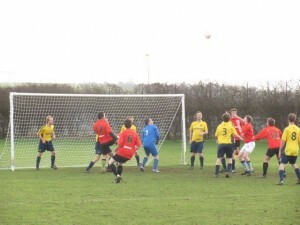 But this was the time our luck was in, with the kick being driven high over the bar and we were through. A great game of football for the neutral, although one that had many hearts in the mouths of all that made the trip down to Wimbledon. Team. 4-4-2, R to L. Daz Sear; Tony Buckoke, Scott Mathers, Julian Carerra, Paul Whittenbury; Rich Murphy, Russ Rapstone, Chris Westcott, Lozza Wells; Martin Pollard, Rob Sterry. Subs Warren Flanagan for Russ. Dave Messenger, Simon Neill, Paul Karlsen, John Akers and Mat Ball not used. Availabilities are now being collected for our next home game, the morning after the Spurs game, against AFC Wimbledon. The game will count for the league, and is also our last group match in this season’s IFA London Cup. After wins v Barnet and Dagenham & Redbridge, we’re nicely poised to confirm a semi final berth. Please don’t reply to this message… click the link below to leave your availability..
A goal from Jimmy Davis, and one each for loanees Luke Hand and Richie Duncan weren’t enough for WIFC, who went down to defeat at a blustery Oxford. 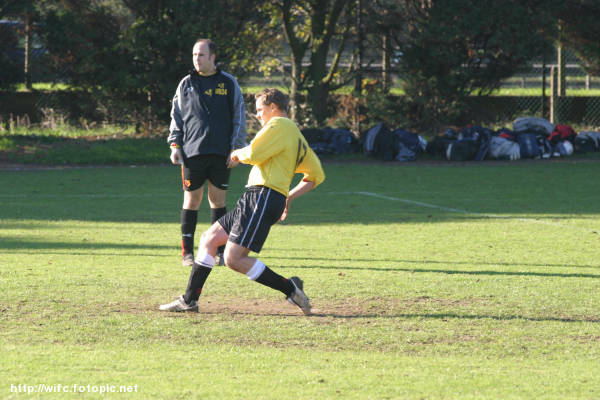 Looking to learn lessons from their previous encounter against Oxford, joint manager Chris Davis chose to load the midfield in a bid to stifle Oxfords creativity but the home side started strongly and WIFC were under pressure for large periods of the first half. Oxford took the lead when they broke down the right and laid the ball off to the 18 yard line for a simple finish from their midfield. Maintaining their momentum Oxford increased their lead from a set play, taking advantage of a foul to send the free kick looping to the far post for a simple finish and soon made it three goals when their tricky forward received the ball with still a lot of work to do, drove an excellent finish past keeper Tom Beck. With ten minutes of the first half remaining and having created few clear cut chances, WIFC made a couple of changes and introduced nippy forward Jimmy Davis to the game. 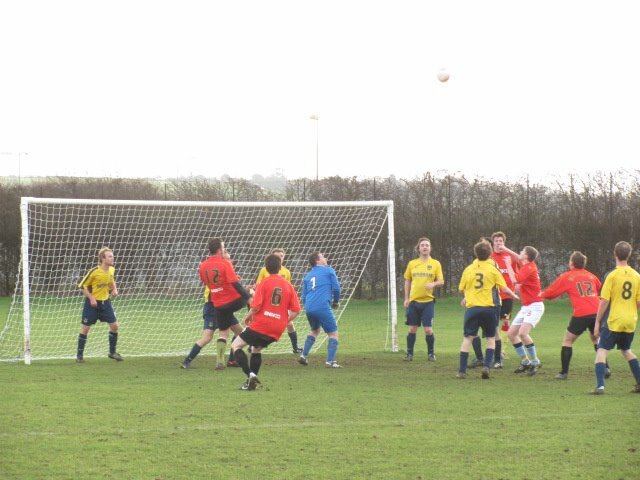 The change made an immediate impact with Jimmy’s pace unsettling the Oxford defence, and WIFC pulled a goal back when Jimmy outpaced his marker and placed a neat finish past Oxfords keeper and the half finished 3-1 to Oxford. 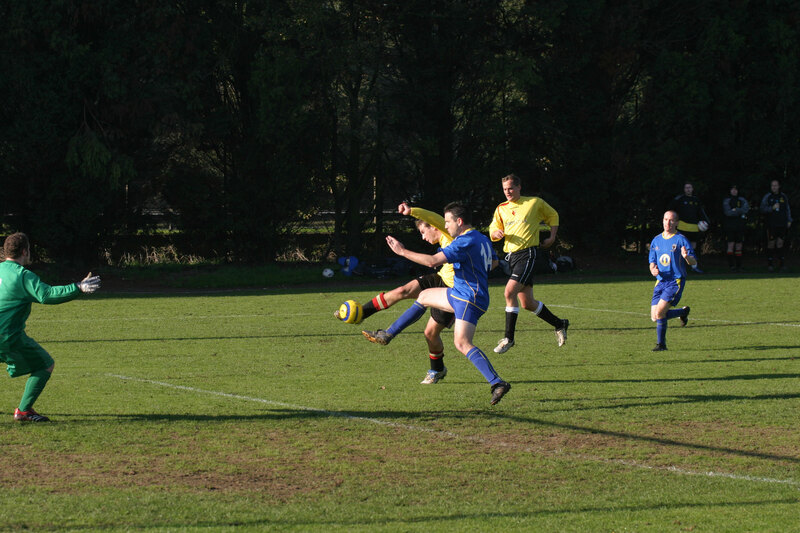 It was Watford’s turn to play into the wind in the second half, and they settled quickly and finally began to look more in control of the game until confusion between sub keeper Jeremy Hinds and centre back Martin Pollard ending with the defender touching the ball beyond the keeper and into the path of Oxfords striker for a finish into an empty net. 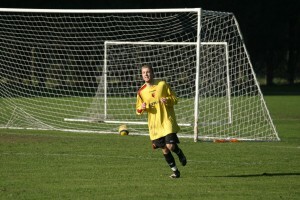 However the Watford fans can be credited for not letting their heads drop and pulled a goal back with the goal of the game, loanee left winger Luke Hand started a move down the touch line, before releasing the ball out to the right wing and continuing his run into the box to receive Richard Murphy’s cross and head past the keeper. Oxford responded once again to put pay to any potential come back with a carbon copy of their first goal, and other WIFC loan player Richie Duncan grabbed a goal with a neat finish to leave the score 5-3 in Oxford favor at the final whistle. With Watford away at Birmingham in the afternoon, WIFC will be stopping off in Oxford on the way to return the fixture played earlier this season, when braces for Alex Prentice and Jimmy Davis secured a 4-1 win. 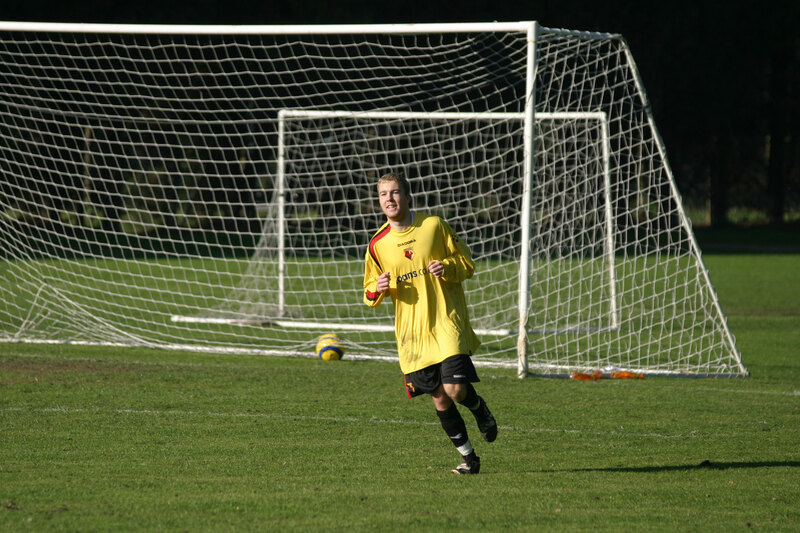 It’s been a while since we visited Oxford, with our last trip taking place in July 2008, when we played 3×30 minute friendlies as a warm-up for that year’s Worldnet. The game was notable as it was Dave Morren’s debut, goals from Mark Brennan, Lozza Wells and two for Matt Hurley weren’t enough to prevent a 4-7 defeat over the 90 mins. NB – The game will be a 10am kick off to allow more time to get to Brum. We are now up to 9 players, with a few maybes and plenty to confirm. Please post availability here asap.